Took the ladies from Cape Cod apple picking at Shelburne Farms. Into hard cider? Check out the brewing party there next weekend and get started with your own cider brew! In addition to their lovely apples were pumpkins of all shapes and sizes (including my favorite, pie pumpkins!). Mental note– great place to buy local honey for those of us with seasonal allergies. 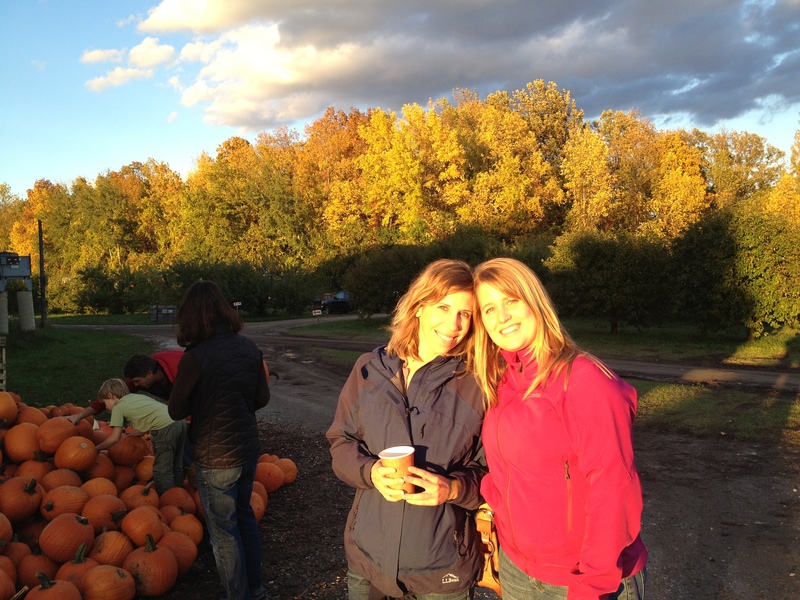 Other highlights included Abby’s first apple cider doughnut (at age 28) and lovely evening colors on the hills. This entry was posted in Uncategorized and tagged apples, cider, honey, pumpkins, Shelburne orchards on October 7, 2012 by gfvermont.